A-Fib Patients Ask: Which Brands of Vitamins and Minerals Can I Trust? 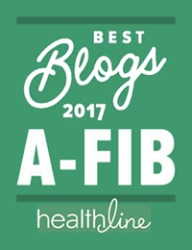 Supplements, minerals and vitamins are of interest to many A-Fib patients and are often discussed on this website. So, I wasn’t surprised when I received an email from Seila J. with this excellent question about purchasing supplements. In general, don’t look for much help from the U. S. Food and Drug Administration (FDA). In the U.S. the FDA does not regulate natural products or supplements but does require that supplements be produced in a quality manner and ensure that they do not contain contaminants or impurities and are accurately labeled. Supplements are not allowed to be marketed for the purpose of treating, diagnosing, preventing, or curing diseases. In the European Union, food supplements are regulated as foods. Learn more at the European Food Safety Authority (EFSA). In Canada, see the Natural Health Product Regulation. In Australia, see the Therapeutic Goods Regulations 1990. In the U.S., there are several independent organizations that test branded supplements. Supplement manufacturers pay, on a voluntary basis, to get their supplements tested and certified (many supplement brands don’t participate so don’t carry any of these test lab seals). The purpose of testing is to verify that the product contains the amount of the ingredient(s) advertised on the label and that it isn’t contaminated with dangerous substances, such as arsenic, bacteria, or lead. ConsumerLab.com (CL) is a leading provider of independent test results and information to help identify the best quality health and nutrition products. CL has tested more than 5,600 products, representing over 850 different brands and nearly every type of popular supplement. Look for specific CL Seals to identify products that have met ConsumerLab.com standards. CL tests products purchased from retail stores (not products supplied by the manufacturer/distributor). For the full list, see Brands Reviewed and Tested at ConsumerLabs.com. ConsumerLab.com is probably the most useful site for the average consumer. Doctor’s Best, Dr. Sears, Dr. Whitaker, Garden of Life, iHerb, Integrative Therapeutics, Jarrow Formulas, Julian Whitaker, Life Extension, Metagenics, Natrol, Natural Factors, Nature Made, Now Foods, NutriCology, Nutritional Science, One-A-Day, Optimum Nutrition, Ortho Molecular Products, Perque, Physiologics, Pure Encapsulations, Puritan’s Pride, ReMag, Solaray, Source Naturals, Swanson, Thorne Research, TwinLab, VitaCost, Vitamin Shoppe. Albertsons, Costco, CVS, GNC, Herbalife, Kirkland, Kroger, Rexall, Target, Trader Joe’s, Walgreens, WalMart. The Value of ConsumerLab.com Membership: There is much free information on the ConsumerLab.com website. But to access the comprehensive testing reports, ConsumerLab offers membership that gives you instant access to comprehensive, unbiased testing reports including quality ratings and CL’s Top Picks. (Testing reports contain information you can’t find anywhere else). Cost: $42/year or $69/2 years. Go to membership page. US Pharmacopeia (USP) tests and certifies products provided by the manufacturer. They currently have certified only over 100 products which can be found on the USP website. Most products are from NatureMade and Kirkland Signature. NSF International is an independent, accredited organization that tests and certifies products and writes standards for the food, water and consumer goods industries. Products that earn NSF certification will display “NSF certified” or “NSF listed”. NSF Certification helps confirm that what’s on the label is in the product and that the product contains no unsafe levels of contaminants such as heavy metals, pesticides and herbicides. Certified For Sports products have also been tested for banned substances, which is particularly important for college and professional athletes. The three directories we recommend don’t sell supplements (or anything else). 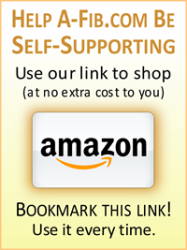 They just offer information on vitamins, herbs, natural products and supplements. Many people take herbal or dietary supplements along with their prescription medicines. But medicines and supplements may interact in harmful ways! Some supplements can decrease the effects of medicines, while others can increase the effects, as well as cause unwanted side effects. The medicines affected have a ‘narrow therapeutic index’, which means that if the amount of the drug is even a little too low or too high, it can cause big problems. Warfarin (Coumadin) is one such medicine. When taken with certain herbal supplements, such as Asian ginseng or St. John’s Wort (and possibly ginger), you may need to be closely monitored. St. John’s wort, for example, interacts with many types of drugs. In most instances, it speeds up the processes that change the drug into inactive substances, leading to a decrease in drug levels in your body. Other medicines with a narrow therapeutic index include digoxin (heart), theophylline (asthma), lithium (anti-depressant), acetaminophen (pain killer) and gentamicin (antibiotic). The herb-drug interaction potential is high for St. John’s Wort, Asian ginseng, Echinacea, ginkgo (high dose) and goldenseal; But low for black cohosh, ginkgo (low dose), garlic and kava supplements. If you take any of the described medicines and herbal supplements, use our free Medication Inventory form to make a list of everything you take. List how often you take them, and the doses you take. Then ask for a review by your doctor or pharmacist for any harmful interactions. You may find you want to modify your supplement regime. • Herb-Drug Interactions: What the Science Says. National Institutes of Health/National Center for Complementary and Integrative Health. • About Herbs, Botanicals & Other Products“ at the Memorial Sloan Kettering (MSK) website (one of our favorites). • Davis SA, et al. Use of St. John’s Wort in potentially dangerous combinations. J Altern Complement Med. 2014 Jul;20(7):578-9. doi: 10.1089/acm.2013.0216. Epub 2014 Jun 23. PubMed PMID: 24956073. • Chua YT, et al. Interaction between warfarin and Chinese herbal medicines. Singapore Medical Journal. 2015;56(1):11-18. doi:10.11622/smedj.2015004. 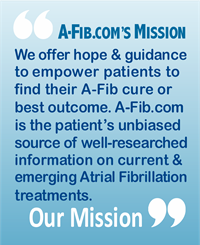 Click image to go to her Personal A-Fib story. Patti wanted to update her list of medications and vitamins, so I just downloaded and printed the Free Medication List form for her. 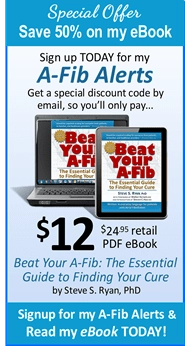 I thought I’d remind our A-Fib.com readers about the FREE Medication List (PDF) available on our Free Offers and Downloads page. List of over-the-counter drugs, too. Over-the-counter drugs, vitamins and mineral supplements can interfere with your medications, so you’ll want to list them, as well. Download this FREE Medication List (PDF), complements of Alere, and remember to save to your hard drive. You can open the PDF and type into the document and then print copies. Or, you can print blank forms and fill-in by hand. Give a completed copy to each of your doctors or other medical healthcare providers. It’s important to keep your doctor and other healthcare providers up-to-date on all the medications you are taking, the dosages, and for what purpose. Take a copy with you on your next appointment. Mineral deficiencies like magnesium (Mg) can force the heart into fatal arrhythmias. Magnesium is one of the most common nutritional deficiencies. It’s chronically lacking in most diets. 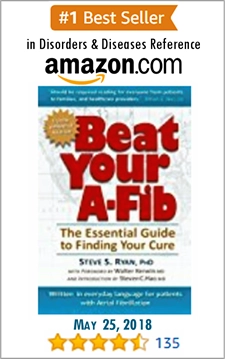 Almost everyone with A-Fib is magnesium deficient. “The Best Way to Supplement Magnesium” with Dr. Carolyn Dean. Getting nutrients through food is not always possible; discusses side effects of too much Mg and how you can tell if you have a deficiency. (3:39) Go to video. “Importance of Balancing Calcium & Magnesium”. Dr. Dean discusses the importance of balancing your intake of magnesium and calcium (2:1); the benefits of both and why you need to have both in the body; the problem of ‘calcium overload’. (2:30) Go to video. For more about magnesium, see my article: Cardiovascular Benefits of Magnesium: Insights for Atrial Fibrillation Patients. 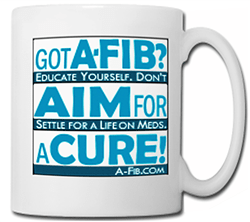 Note: August 2015 Update: Aspirin is no longer recommended as first-line therapy to prevent A-Fib stroke. 1. “Are anticoagulants and blood thinners the same thing? How do they thin the blood?